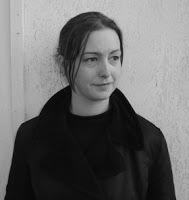 As a composer, Pippa Murphy has been involved in performances, recordings and installations in the UK and abroad. 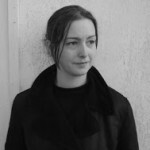 She has written music for the BBC Scottish Opera, Edinburgh’s Hogmanay in St Giles Cathedral, Huddersfield Contemporary Music Festival, St Magnus International Festival and numerous contemporary theatre companies including Dundee Rep, Birmingham Rep, Tron Theatre, Citizens Theatre Traverse Theatre and Fire Exit. Pippa’s works are multi-layered and multi-sensory. Some pieces draw on the full effects of combining sound design with orchestral instruments and voices. Her music has an immediacy, which is often dramatic and expressive. She is particularly interested in vocal techniques, phonemes, electronica and ‘found’ sound. Pippa has directed many creative education projects throughout the world and has worked in many different musical and social contexts. She has devised pieces and trained teachers with the British Council in Scotland, Syria, Vietnam, Botswana, India, Iran and China. She has composed with asylum seekers in Glasgow, Manchester and Edinburgh and lectures at Edinburgh, St Andrews and Aberdeen Universities. She works regularly in cross-arts and multi-media collaborations and has worked with ensembles including Scottish Opera, Scottish Ensemble, McFalls Chamber, Scottish Chamber Orchestra, Red Note Ensemble. Pippa completed her BMus, MA and PhD in composition at Birmingham University. She was Vice-Chair of Sonic Arts Network (now Sound and Music) for 5 years and has written for Whitakers Almanac, Sunday Times and The Scotsman. She is on the board of ‘New Music Scotland’ and is currently Artist in Residence at the Scottish Parliament. She has just had a major new work Anamchara for Scottish Opera with writer Alexander McCall Smith performed with over 100 performers as part of the Commonwealth Games at the Theatre Royal, Glasgow.